I love steel cut oats on a chilly morning and I really love chocolate. 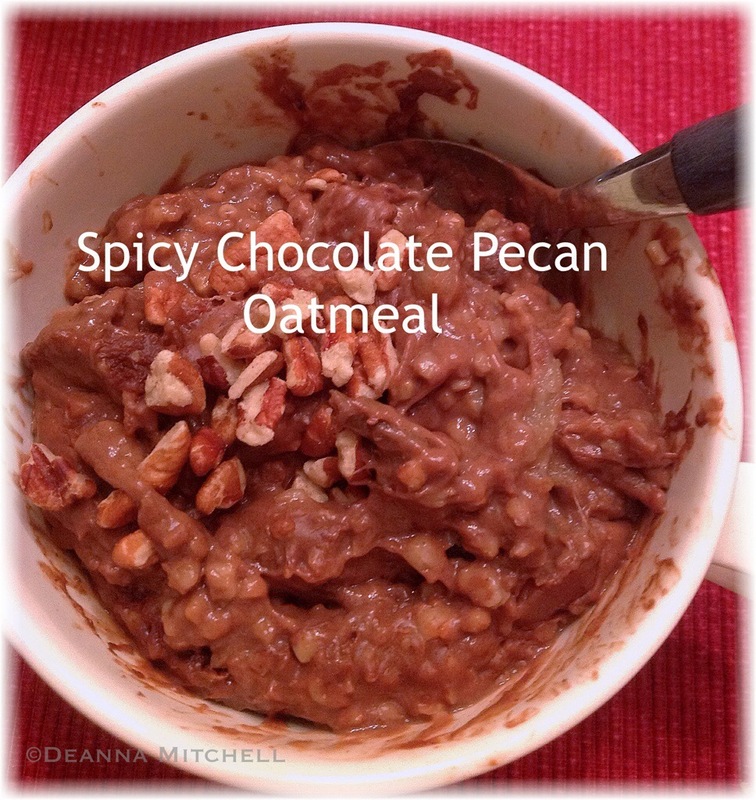 This spicy chocolate pecan oatmeal tastes decadent, but is actually super healthy. You could leave out the maple syrup for an even healthier version. We used raw cacao powder, which I like better than processed cocoa because it has so many antioxidants and a richer taste. Add the first 5 ingredients to the bowl of a slow cooker. Stir well. Cook on the lowest setting (I use the “keep warm” setting on mine), cook oatmeal 7 hours or overnight. Stir well (the cacao may rise to the top– just stir it back in) and add additional almond milk if the oatmeal is too dry. Serve with a sprinkle of pecans and a drizzle of maple syrup. The real secret to these ice pops is bananas. They give the popsicles a lovely, creamy, thick texture without any dairy (I’ve also used soaked and drained cashews–this works well, too). You do need to freeze the bananas ahead of time, but we always seem to have bananas on the brink of disaster, so freezing them before they turn too mushy is a regular habit. I take ripe bananas, peel them, cut them into slices and freeze them on a parchment lined baking sheet. When they are frozen, I pop the slices into storage bags and keep them in the freezer until I need them. They are terrific in smoothies! Since ripe bananas are pretty sweet on their own, I didn’t add any sweetener, but you could add some raw honey if you wanted to (this would change the nutritional profile). As is, these are cool, creamy, and have a great banana/peanut butter/chocolate flavor. 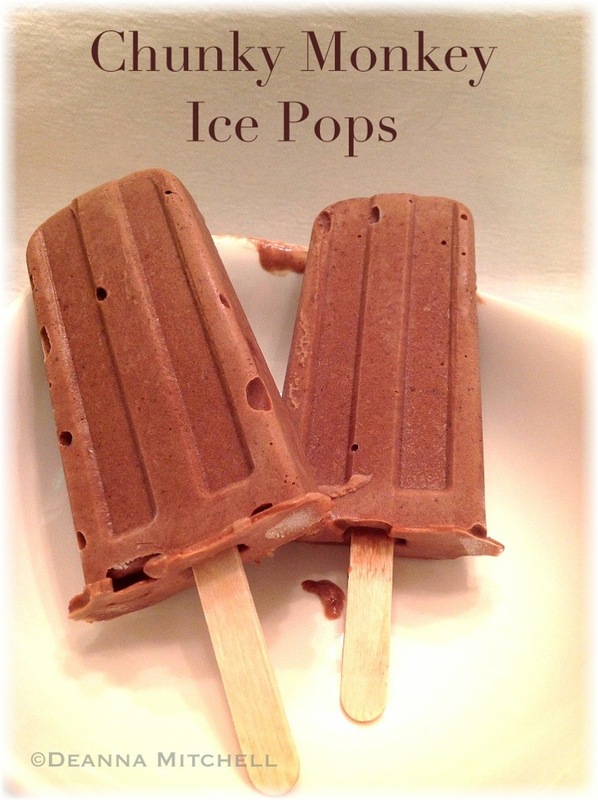 Many thanks to fellow blogger, The Midnight Baker for sharing her success with the Norpro Ice Pop Maker. Check out her recipes–they look amazing. The Norpro mold makes 10, 3 ounce ice pops, is BPA free and is very affordable. Click HERE for more information. Put all ingredients into a Vitamix or Magic Bullet blender and blend until very smooth. Pour mixture into the ice pop molds. Tap the mold on the counter a few times to release air bubbles. Freeze several hours or overnight. Unmold the pops and enjoy! 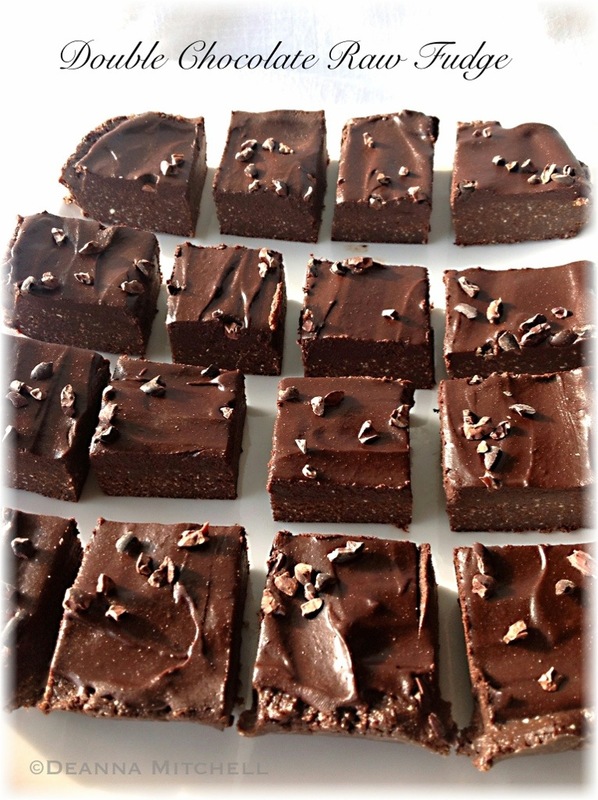 Raw fudge–who knew??? Well, clearly lots of people, but not me. Until today. This super chocolatey fudge could be called Million Dollar Fudge, because the ingredients are a bit pricey and also because it is worth every penny. I’m here to tell you that this recipe is really great. It is gluten-free, vegan, free of refined sugar and absolutely chock full of healthy ingredients. Prepare to be amazed! I have been wanting to try some more raw recipes after out Clean Energy Bar success and I had heard a lot about raw cacao powder. Processed without heat, raw cacao is full of anti-oxidants and trace minerals like magnesium and vitamin k. Being a chocolate lover, I was ready to try some recipes that use it to its full advantage. I love fudge, but it usually has way too much sugar in it for me, making me tired and feeling bloated. But I was really jonesing for some chocolate. And I found THIS recipe from Gourmande in the Kitchen. Seeing as how my local grocery (and even Trader Joes) don’t carry raw cacao, I trekked out to Whole Foods with Tom. It was a crazy experience. First, why in the world are cashews so expensive there? $13.00 per pound is crazy talk for nuts (they are $7.99/lb at Trader Joes). We asked several store employees where raw cacao powder was and no one had a clue. Not the baking aisle. Not the chocolate area. Not the bakery itself. Turns out, it is in the beauty aisle. Why? I still have no idea. But at least we found it (thank you, nice store employee with the many piercings!) and, after a trip to Trader Joes for raw cashews, we were in business. Did I say this fudge is amazing? It is smooth, rich, chocolate-y and very filling. One square was definitely enough to satisfy my chocolate craving. I see this becoming a favorite in our house! The ganache recipe is something we have used for several other raw desserts–it is very delicious. This recipe is easy to make and comes together very quickly. You definitely need a 7 cup or larger food processor to handle the mixing, but that is really the only equipment you need! To make the fudge, start by lining an 8×8 pan with parchment paper. Process cashews in a food processor until very finely chopped. Add the coconut and pulse a few times. Add the dates and process until the dough just starts to come together (about 2 minutes). Add the maple syrup and cacao powder and process until the dough is smooth and sticky. I had to scrape down my food processor several times to keep things going. Press the dough down into the prepared pan, making sure it is evenly distributed. Park in the fridge while you prepare the ganache. Wipe out the food processor. Add the maple syrup, coconut oil and cacao powder. Blend for about 30 seconds, until smooth. Pour over the fudge and spread evenly. Sprinkle cacao nibs on top. Return to the refrigerator for at least one hour. Cut into squares and store in the refrigerator in an airtight container for up to a week.